School attendance hours are 8:40 a.m. to 3:00 p.m. The school office is open from 7:30 a.m. until 4:00 p.m. on days that school is in session. Wasco's school office is open during the summer. We suggest that you call ahead and confirm our hours and availability. The Strength of a Wolf is its Pack! BE SAFE. BE KIND. WORK HARD. DO THE RIGHT THING. Wasco School is a high-performing, child-centered elementary school within the St. Charles Community Unit School District 303. Wasco Elementary School is located just one block off Rte. 64 along Old La Fox Rd, approximately 4 miles west of Randall Road. Our current Kdg.-5th Grade enrollment is 385 students. D303 offers both 1/2-day and full-day Kindergarten programs. We follow a rigorous D303 curriculum based on the Common Core Standards. Instruction is differentiated to support all learners. Our teachers are also learners and engage in continuous professional growth opportunities year round. Our school improvement goals are focused on developing independent learners who can persevere through critical thinkig, collaboration, communication, and creativity. Wasco School has a very strong sense of community. Students, staff, parents as well as community and alumni work collaboratively together to promote excellence and success. Our students and staff are charitable in their words and actions. Together, our school has raised money and supplies for many local and national organizations such as: Northern Illinois Food Bank, Make-A-Wish Foundation, American Cancer Society, Anderson Animal Shelter, Living Well Cancer Resource Center, Goodwill, and Lazarus House, and have sponsored men and women in our armed services who are serving our country around the globe, just to name a few. Our students are caring, smart, kind, curious, helpful, and respectful. We collaborate and problem-solve to make our school better each day. Wasco School is a healthy school. Recognized by local, state and national organizations, Wasco aims to strengthen the physical and mental wellness of all our students, parents and staff through education toward developing healthy practices in nutrition, physical fitness as well as social and emotional skills. Wasco students learn about and practice problem-solving, social skills, growth mindset, emotional regulation, safety, bully prevention and executive functioning skills. The 2017-18 school year marks my 16th year serving as an administrator in D303. 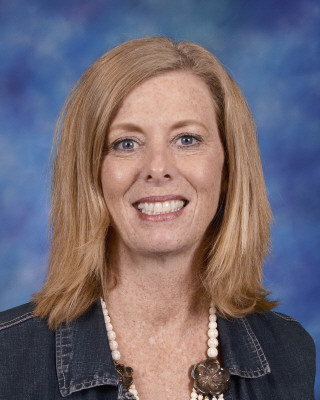 I'm starting my 10th year here at Wasco, and previously served as Principal at Lincoln Elementary school in downtown St. Charles for 5 years. In my first year in the district, I served as Assistant Principal at Wild Rose and Davis Schools. My background: I earned a B.A. in Elementary Education, M.A. in School Counseling, Advanced Degree and Type 75 in Educational Administration and Educational Specialist Degree (Ed.S.) in Educational Administration from NIU. My passion is helping students experience success within a challenging yet supportive environment. Students should feel connected to their school, feel confident in themselves, feel secure to take risks that will advance their learning and feel respected as an important part of our school and community. Each child is special, each child can make a difference and each child has the right to discover and pursue their passions here at Wasco School! If you are new to our school or a prospective family to the Wasco Community, we'd love for you to come and visit us. Please contact the school office to schedule a time for us to meet with you, take a tour and answer any question you may have. We look forward to welcoming all future "Wasco Wolves!" 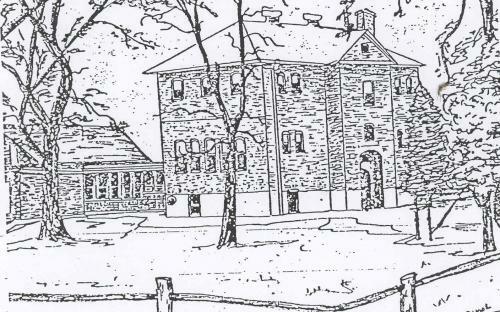 In 1903, it was decided that three small country schools, The Red School, The White School and the Stone School would be combined into a three story building. 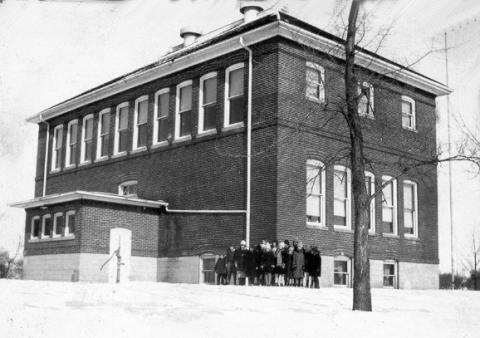 In 1906, the three teachers that began teaching in this new school were Elberta Thruba, Miss Adams, and Miss Coy. In 1925, Wasco averaged 80 students for grades 1 through 10. High School, which was taught at the school, was a two year program and separated from the other classrooms by being located upstairs. Because the students at Wasco were mostly farm children, they would drop out of school to help on the family farm before completing their education, therefore, there were only 12 to 14 high school students during this time. During the Depression years, children would bring a vegetable from home and contribute it to a pot of boiling water to make soup the entire school would enjoy for lunch. This was the beginning of our hot lunch program. One student, Eleanor Johnson Shuman, who attended Wasco for 9 years before graduating in 1927, recalled a canvas covered pole building setup for the horses and buggies the school children used for transportation to school. During a snowy spell, it was not uncommon for children to get a horse drawn sleigh ride home. Walking to and from school was commonplace. She recalls visiting the Wasco Store for penny candy before her walk home - one block past the Town Hall. There was also one boy who drove to school everyday - but that was before there were age and license restrictions. Mrs. Shuman recalls large jugs of water for drinking and washing, and using an outhouse behind the school because there was no running water. Girls wore only mid-calf length dresses or skirts with black stockings, no jeans or shorts were for young ladies back then. As another note of interest, Mrs. Shuman was a survivor of the Titanic when she was 19 months old. What a remarkable woman! In 1950, the state eliminated two year high schools and Wasco consolidated with CUSD 303. The school now educated children in Kindergarten through 6th grade, with 7th and 8th grade being bussed to St Charles, and 9th through 12th grade attending St Charles High School. Enrollment at Wasco reached a record 100, so expansion was necessary. Three classrooms, a kitchen and an all-purpose room used for the gym, lunchroom, state and meeting rooms were built. The "Mothers Club", which became the PTA, and now know as the PTO, would meet in the all-purpose room and plan how to earn money for their students and teachers. With continued growth, it became necessary to tear down the original structure in 1965 and build a bigger school. It is now replaced by the East Wing. In 1971, there was a six room addition, with the number of students being 409. The PTA continued their fundraising. For a cost of one dollar for students and $1.75 for adults, the community could enjoy a home cooked Bar-B-Que dinner to help earn money for the school playground. Most recently, Wasco underwent another transition. 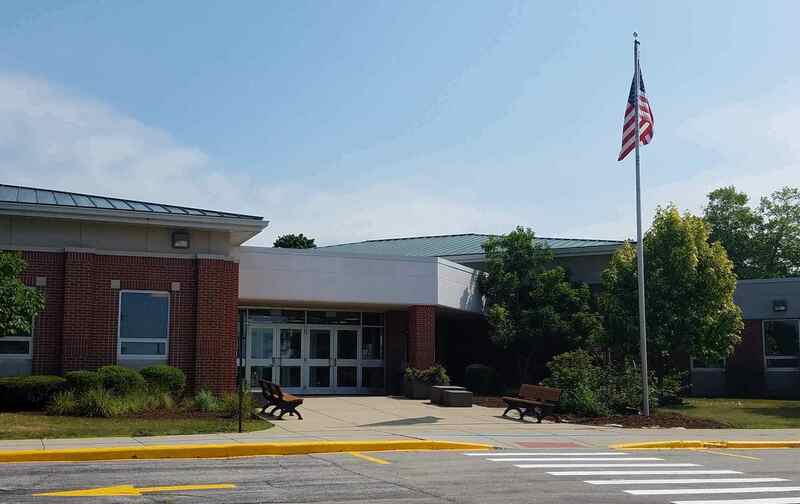 The staff/volunteer workroom, teacher's lounge, community room/lunchroom, are/music room and additional classroom, and the school's office area were all added in 1988. Wasco School is historically rich. Two, three and four generations of families have attended and are currently enrolled in our school. Each family and each child that walks through our school's doors contribute to the ongoing history of Wasco Elementary School. Therefore, everyone remains a member of the Wasco family regardless of where life's path takes them.